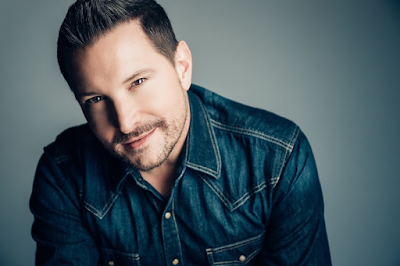 National recording artist, Ty Herndon, is among a star-studded list of artists featured on a new tribute track, titled “Hands.” The single, released through Interscope in conjunction with GLAAD, is a musical tribute to the victims of the Pulse nightclub shootings in Orlando, which took place on June 12 and resulted in 49 lives lost and 53 injured. The musical tribute is an iTunes-exclusive download-only track, available HERE, and proceeds benefit Equality Florida Pulse Victims Fund, the GLBT Community Center of Central Florida, and GLAAD. In addition to Herndon, other artists lending their vocals on the track are Mary J Blige, Jason Derulo, Tyler Glenn, Selena Gomez, Halsey, Imagine Dragons, Juanes, Adam Lambert, Mary Lambert, Jennifer Lopez, the Trans Chorus of Los Angeles, Kacey Musgraves, MNEK, Alex Newell, P!nk, Prince Royce, Nate Ruess, RuPaul, Troye Sivan, Jussie Smollett, Britney Spears, Gwen Stefani, and Meghan Trainor. “Hands” was written by Warner Chappell writers Justin Tranter & Julia Michaels, and BloodPop®; produced by BloodPop®, Mark Ronson, and Justin Tranter.